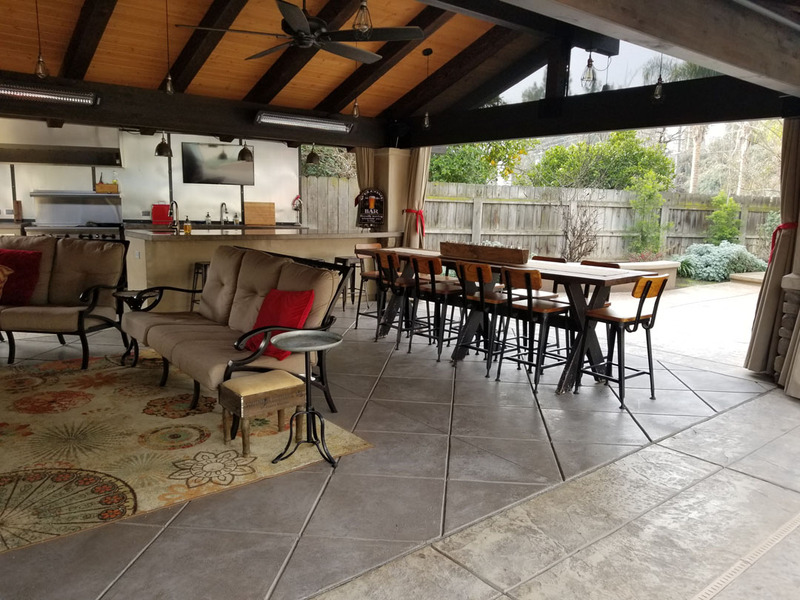 The Homeowner wanted an entertainment space that would work for friends, family and client gatherings. He visited the local Bomanite showroom to review samples, colors, systems that would bring his vision to life. 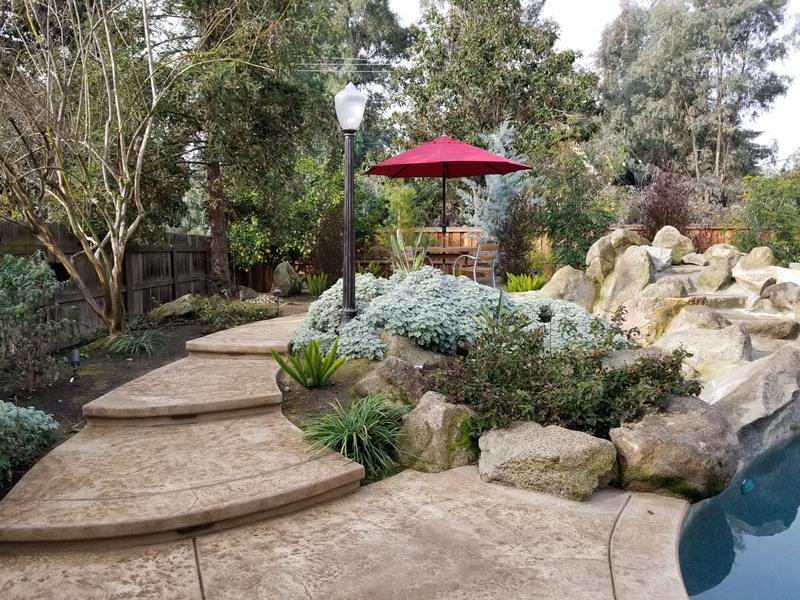 In wanting to create a backyard oasis, he chose several different systems in complimenting colors that provided an enticing atmosphere. 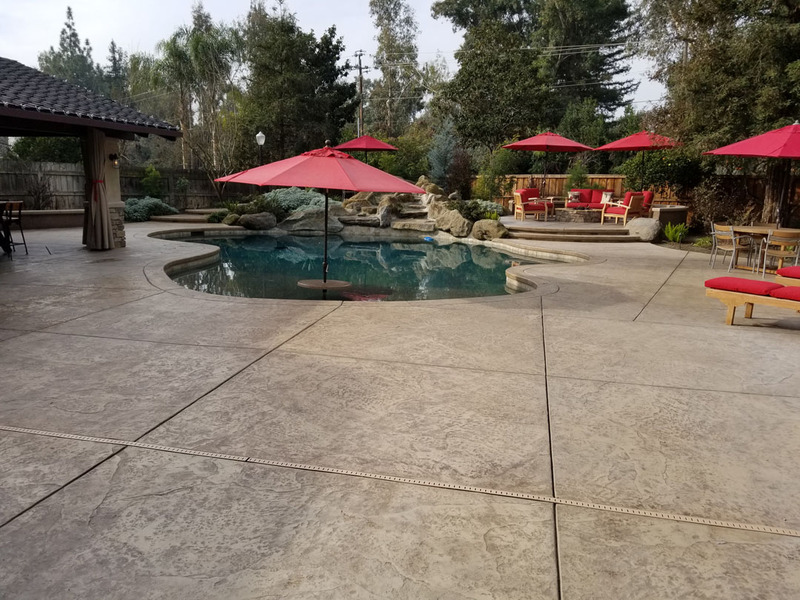 The backyard pool deck and patio of 2,200 square feet were cast-in-place and stamped with the Bomacron Slate Texture for the majority of the space. Bomanite Sand Color Hardener with a Light Brown Release Agent were used to provide a natural look for the Slate pattern. The Bomanite Exposed Aggregate Antico Process System was incorporated and used to separate the gathering areas, creating cozy niches. 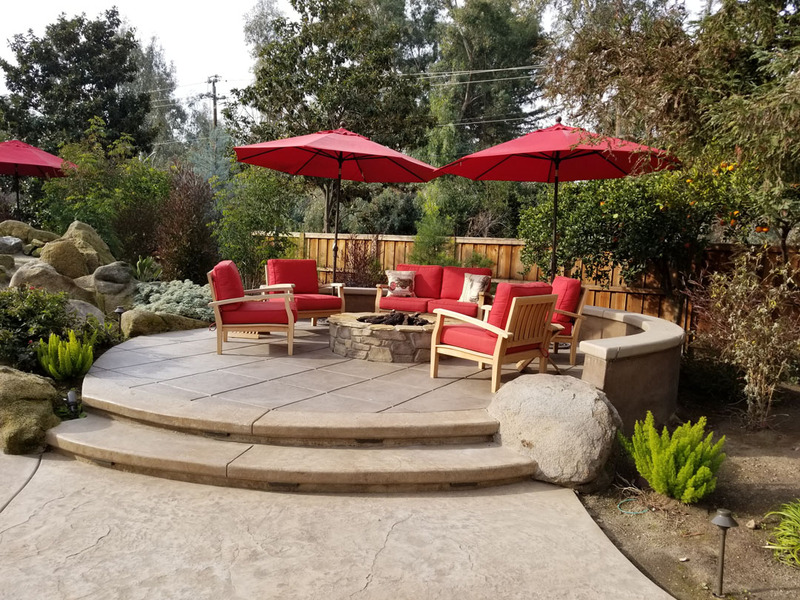 An outdoor firepit and seat walls with steps were given the decorative concrete treatment as well. 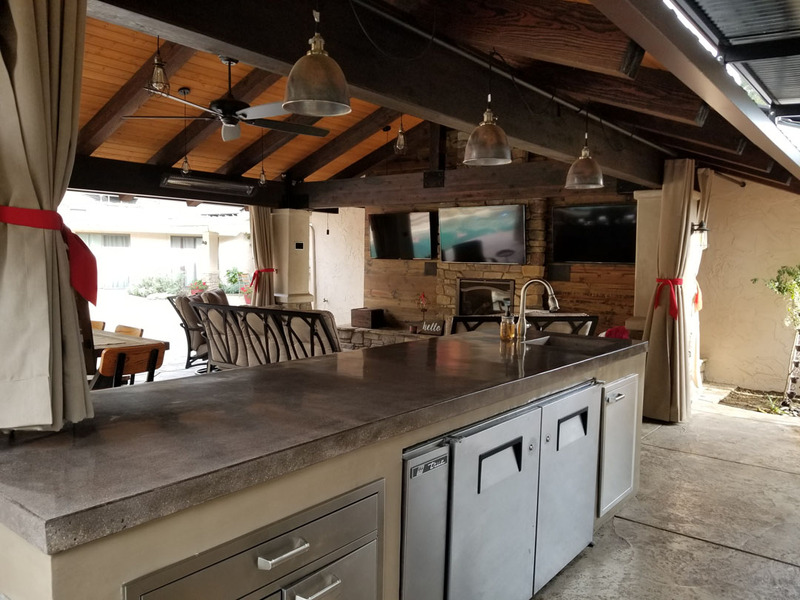 The Cabana houses a hi-end Chef’s kitchen with a polished concrete countertop, built in fireplace, four TV’s and areas for dining, visiting and entertaining top-notch guests. The flooring was designed using the Antico Process in a Light Brown color with Sawcuts to provide that element of separation and design. 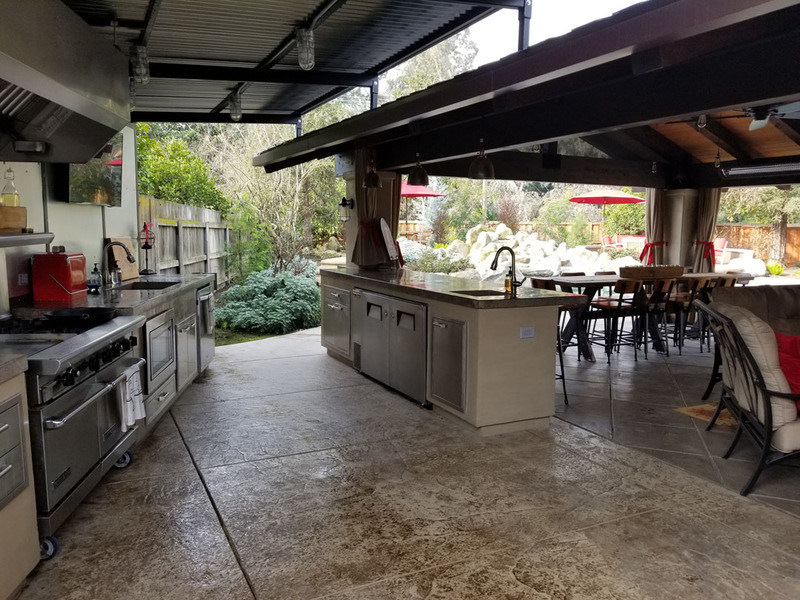 The homeowner’s remodel also incorporated a pool waterfall, a Bocce Ball court and outdoor restroom to complete the look.